As a second post about the first Agile Coach Camp in the Netherlands, end of April 2012, I’d like to tell the story how the Ewan McGregor game was born. One of the most challenging situations for a team coach or even a team itself, is dealing with an ‘elephant’ in the room. In reality I need to say – avoid dealing with the ‘elephant’ in the room. I’ve experienced several situations in the past, where there was an elephant in the room – in Teams, in relationships – private and business, even within whole departments or companies. But how do you deal with such situations? Do you confrontate, what can be very hurtful, or do you deal with symptoms? My experience is that you need to be very sensitive when dealing with such crucial topics – and never forget, there is a reason why a problem has reached the level of an elephant in the room! A background of such situations is based on fear of conflict and a lack of trust – the two most important issues of dysfunctional teams, as well as fear of loosing status. During a coaching session, while reviewing such an ‘elephant in the room’-situation, I had the idea of creating a game where such a situation will be simulated and players need to deal with it. My intention was to create a safe environment which allows players to explore such sensitive situations and learn how to deal with them for the purpose of creating awareness. I was thinking about different approaches to achieve that game but unfortunately a promising idea was missing. But hey, this is a perfect topic to explore during an open space session and the Agile Coach Camp Netherlands was just a few weeks ahead. So, during creation of the OpenSpace marketplace I offered a session for co-creating an interactive game to deal with an elephant in the room. Fortunately approx 10 people showed up for the session – wow, that was much more than I hoped would come. What happened now, I don’t know how to describe it best, let’s just say – what happened now was just magic! The game was evolving out of an empirical process of simulating an ‘elephant in the room’ – in the true sense of the word! We created a huge obstacle with chaotic piled chairs in the room and taped a real tight space around this obstacle. We then simulated some situations where a team of participants had to deal with daily work while they had to move within the tight taped space around the piled chairs. After simulating some real world examples of team-issues we removed all the chairs so that just the taped space was remaining on the floor. We asked the team to repeat all team situations in the room, imagining that the chairs were still in the room. As an Agile Coach Camp is an OpenSpace unconference, there were Bumblebees and Butterflies dropping in the session room by chance. You might be able to imagine that this must be a funny situation for an observer who does not know what’s happening in that team, where people move within an empty space and make strange movements like a pantomime. When we asked the newcomers what they observed, they told us that it is strange, it’s obvious that there is something wrong in the team but that they’ve had no idea what’s going on and why the hell the members move so strange within their teamspace . We then invited the newcomers to start coaching the team. What happened next surprised everybody attending that session. Remember – the team members move around an non-existing chaotic pile of chairs! When asked by an observer what they are doing there was just a simple answer – ‘we are working’. When asked why they move so strange, the outrage of the team about that question became obvious – we don’t move strange, we’re just doing our work as usual. The team members started to defense and became more or less angry about some questions of the observer/coach. Very interesting emotions and a very dangerous situation for the coach emerged. With one single wrong question you can ‘close the door’ for gaining trust of the team. The coach is an ‘outsider’. What is very interesteing, each time when I facilitated that game, and as far as I know other Facilitators made some similar experiences, almost the same emotions show up, created virtually. Teams start to defense the way they work, even if it’s obvious that there is a problem. Even if it’s just a role play, participants tell that they feel a need for defending themselves, they feel the ‘hot air’ etc. It was amazing, we created a virtual ‘elephant in the room’ and were able to discover all the emotions which occur also in real situations of this kind. We then started to concentrate on coaching such a situation and how this uncomfortable experience can be handled. That’s were the real work starts! When appropriate facilitated and coached, this game can be a great eye-opener for dysfunctional teams and can create new insights, options and opportunities for dealing with crucial issues in teams. 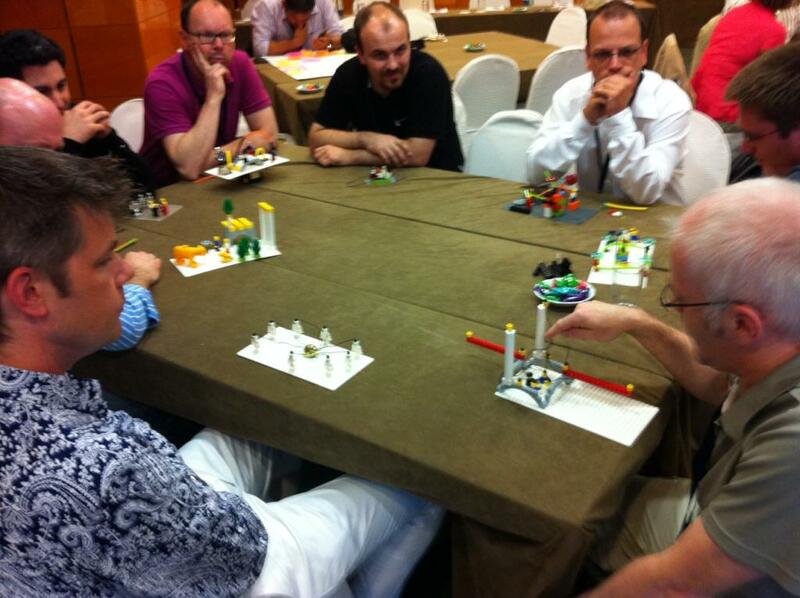 If you’re interested in running that game please give me a ping or have a look at the ‘Agile Games’-group on LinkedIn. Beyond that I will publish the game instructions Facilitation Flash Cards. If you have already tried out the game I’m very curious to read about your experiences – please leave your comment here! A lot of people are asking why ‘Ewan McGregor’ – isn’t that a famous actor? What is the most attractive, easiest way to promote learning, create valuable meeting outcomes, motivate and boost teams, raise commitment and just get the best out of every involved person? Right: through play! Dr. Brian Sutton Smith – Professor Emeritus of the University of Pennsylvania and leading proponent of play theory explained in his book ‘Ambiguity of Play’ that the opposite of play is not work, it’s depression! Pat Kane, writer, musician, consultant, player, theorist and activist states in his book ‘the play ethic’ that play will be to the 21st century what work was to the industrial age – our dominant way of knowing, doing and creating value! 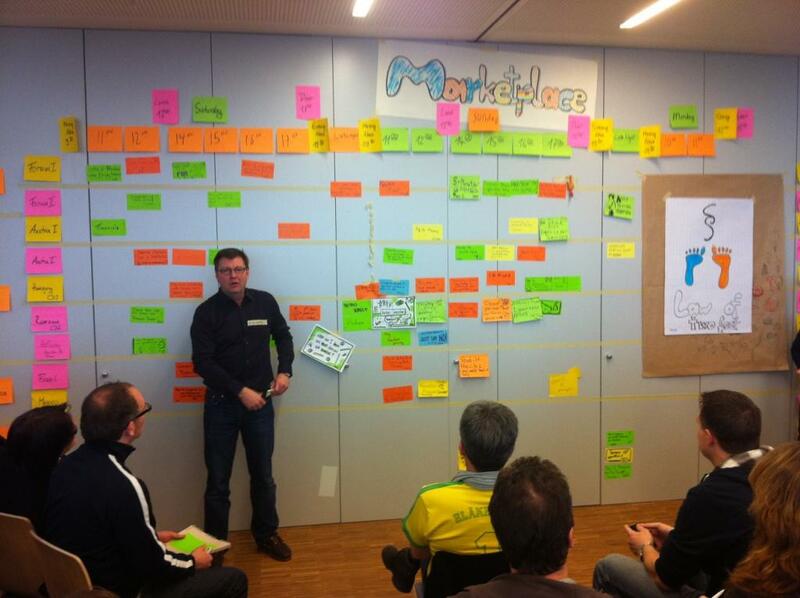 In May 2010, Olaf Lewitz did a StrategicPlay® session at Agile Coach Camp Germany. Inspired by this session Martin Heider had the idea to create an unconference concentrated solely on the topic of serious games for agile teams. Organizers for such an unconference were quickly found – it turned out that a lot of coaches had already discovered the value and fun of games played in a serious context, and used them regularly. 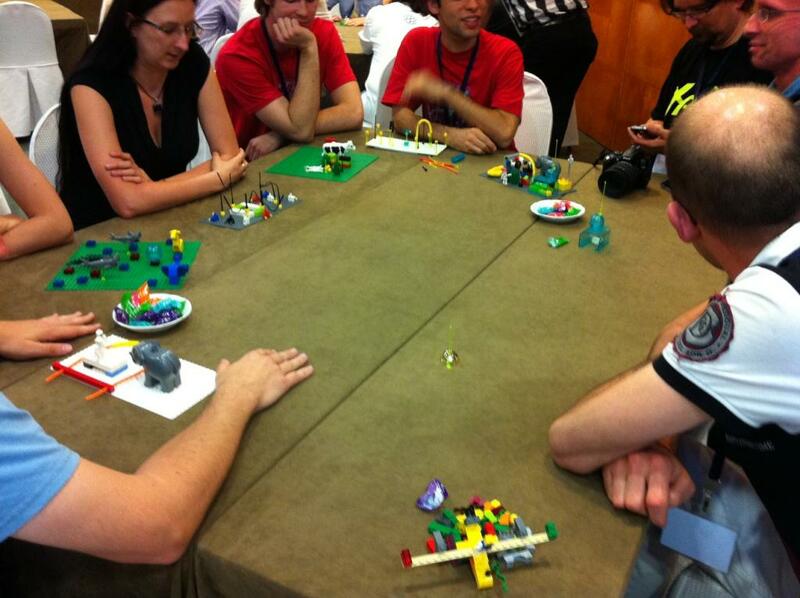 A first in-person meeting of organizers to create an unconference for serious games took place in summer 2010. 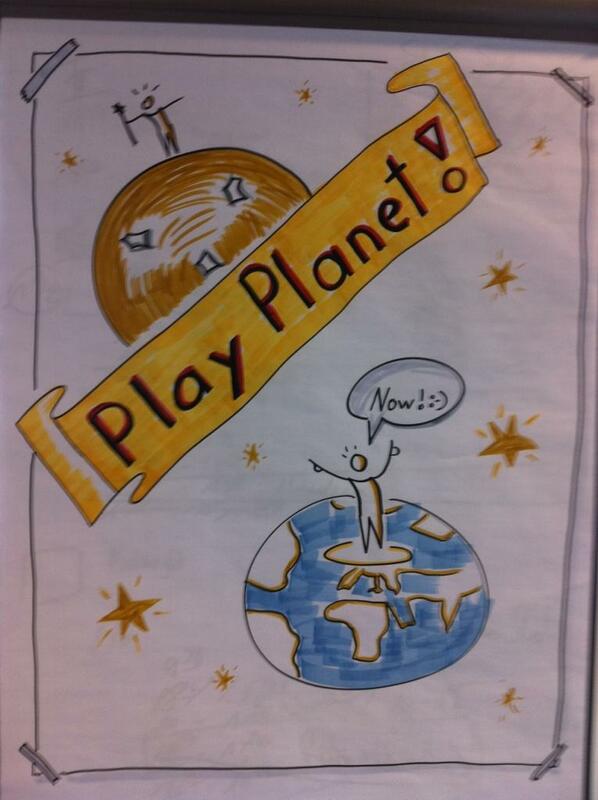 For 2 exciting days we created our first joint vision for Play4Agile and started planning. 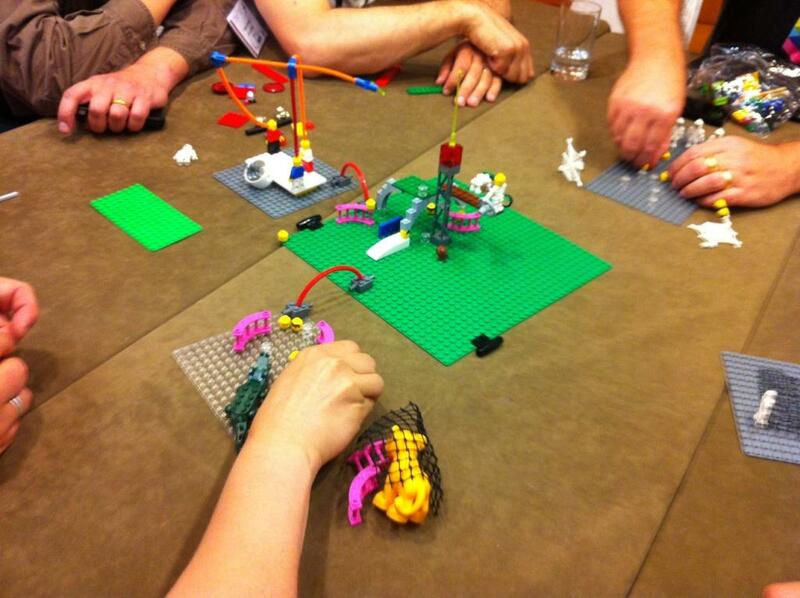 Not surprisingly that these two days were tremendous fun, as we created our vision and planned using StrategicPlay® facilitation, powered by LEGO® SeriousPlay™! Agile conferences and unconferences are popular meeting places where coaches, trainers, and all people interested in agile topics, learn from the experiences of like-minded people and exchange knowledge. 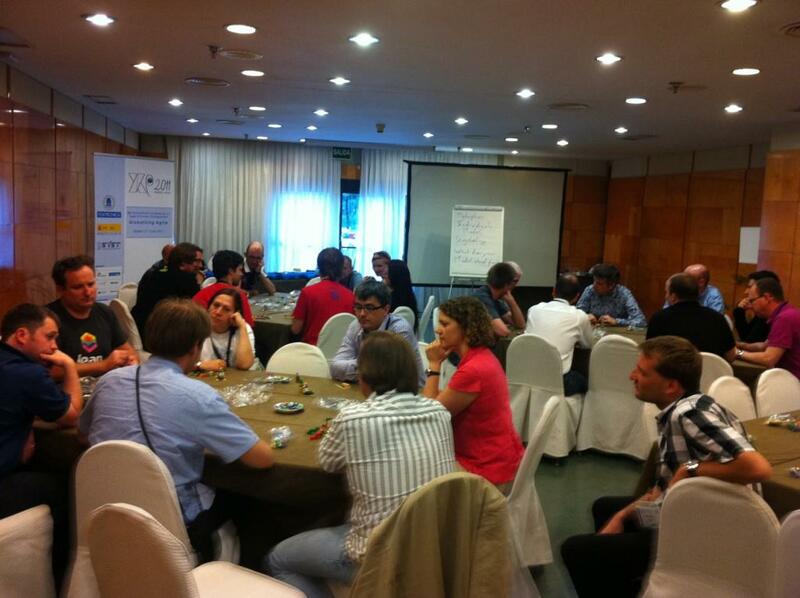 Play4Agile sets itself apart from other agile un-/conferences in a couple of ways. Not just that participants are having fun and learning from each other by exchanging serious games for 3 days in a cozy hotel in the country. Also, every evening participants enjoy playing games in the bar. This is not a must, but each participant likes to do it! At the bar it’s ok to play games just for fun, without any serious context. This whole mood of playing games together for 3 days leads to irrepressible spirits and gives the unconference the character of a magical, familial event. Furthermore, there are no keynotes, no lectures, mostly interactive sessions and the OpenSpace is facilitated by participants on a daily rotation. It’s not only a perfect place to learn how to practice and use serious games for agile teams, it’s also the perfect place to create new games, as all participants are passionate about testing and experimenting with new game ideas and prototypes! For example, Fearless Journey, Nobody’s Perfct, Towering Options and Lean Procrastination – the last reponsible moment game are all games invented at Play4Agile. Moreover, we have lots of other activities like theatre games, learn how to design and make a game or how to create games to solve problems. The whole event transforms into a huge playground! The Play4Agile unconference is completely based on Open Space technology and took place for the first time in February 2011 with the theme ‘Serious Games for Agile Teams’. In 2012 the motto was ‘High Playformance for Agile Teams’ and 70 participants from all over the world enjoyed this special unconference. As Play4Agile 2012 was already booked after nine hours, you should mark your calenders, because the date for Play4Agile 2013 is already fixed! 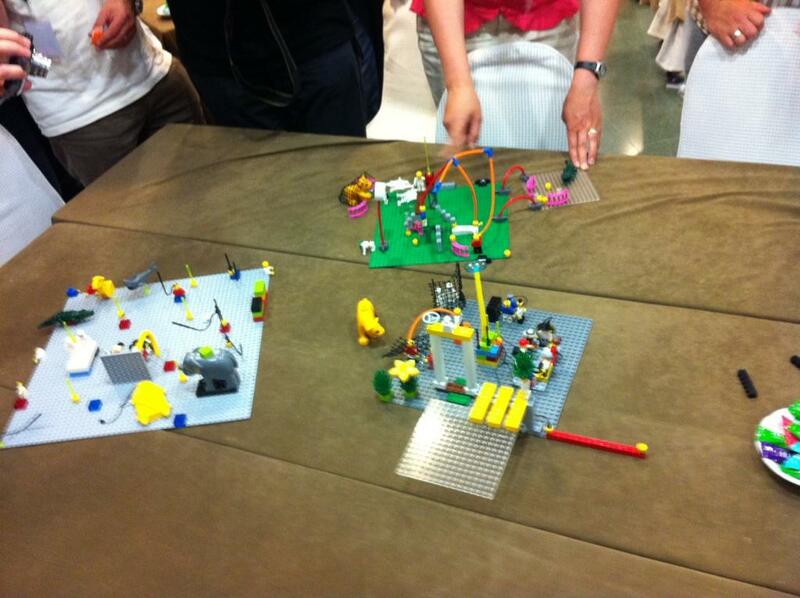 To put the Play4Agile spirit in a nutshell: Play, have fun & learn! I’ve written this article for the ‘whoisagile’ project by Yves Hanoulle and it’s published in the 13th version of the ‘whoisagile’ book. Thanks to Deb and Martin for proofreading end editing! 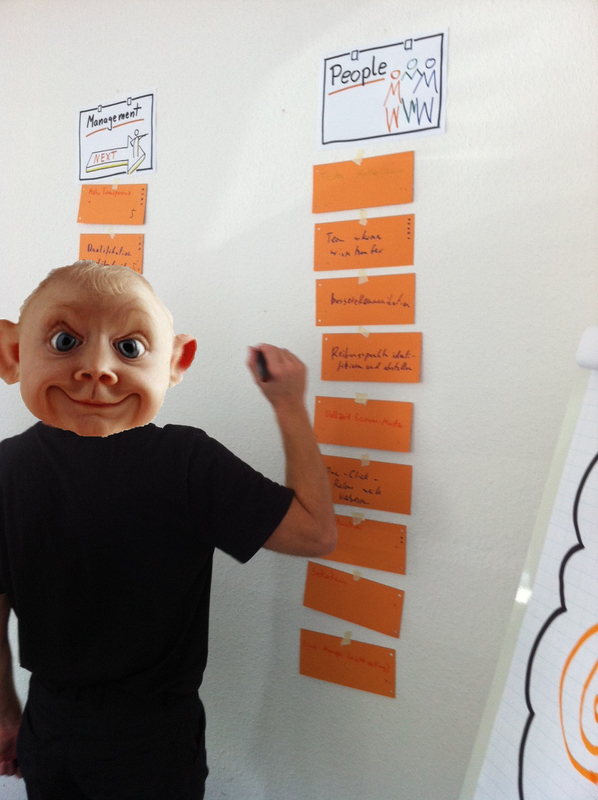 … or: how to bring more daily-fun in your daily Scrum! In agile teams it’s usual to use storyboards for visualising your work and to create transparency about the progress and what’s happening. It doesn’t matter if you are using a storyboard as a Scrum team or if you visualise your work by using Kanban. re currently working on. This leads to more transparency as you can directly see on the storyboard which teammember is working on which task. Some weeks ago I was searching for something new to bring more fun to the daily work. I was thinking about how to use the avatars more intensive? People love their avatars, they love the characters and stories around them. Thus, people have a special relationship to their character. They know their behaviour and their special skills. They know what perspectives their characters prefer. Use your avatar-team during your daily stand-up. 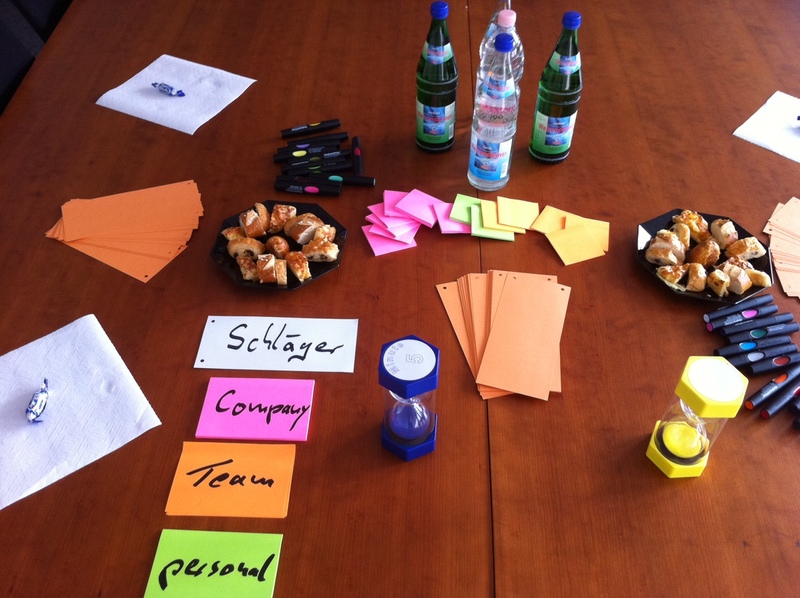 Ask each teammember to participate the daily-Scrum in the role of their character. Each teammember should give their status-update to the team from the individual perspective of their avatar. 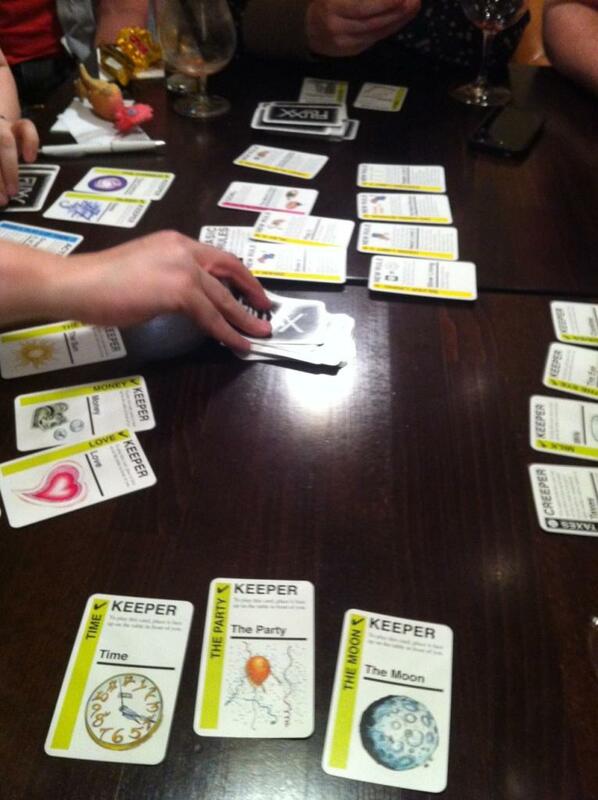 In addition, you can ask your team if they want to extend this kind of role playing game. 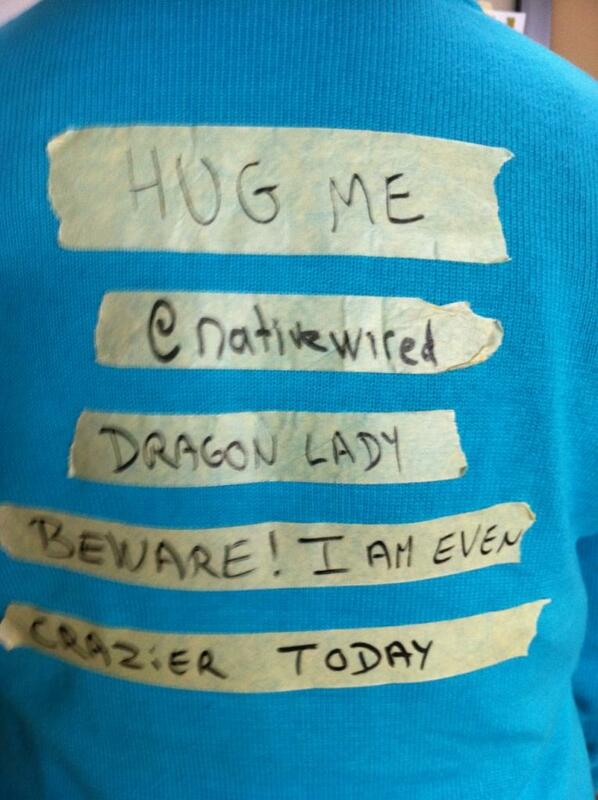 If your team is crazy enough you can ask your team to participate all Scrum meetings in the role of their characters.